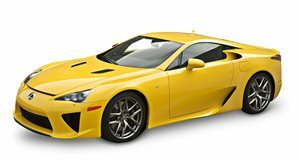 When Lexus dropped the LFA on an unsuspecting world, the Japanese carmaker delivered a masterpiece of a supercar complete with a howling V10 that puts the current crop of Formula 1 cars to shame. Lexus is known for its quality, particularly in interiors and the inside of the LFA didn’t disappoint with its top-notch build quality and materials mixed with the kind of slightly understated flair that told us the car means business. Lexus even pulled off the digital gauge cluster just right, with one little detail. When you switch into the business end of the sport settings, the digital tachometer and its housing slides into the center so it’s right where the driver’s eyes naturally fall to look. When it comes to cultured minimalism, McLaren has always been on point. 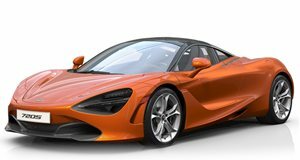 The 720S does that while slipping in interesting aesthetic design touches plus a supercool two-way folding gauge cluster to highlight the modern tech and a leather loop on the seats for the seatbelt as a nod to old-school style and class. To this day, the Citroën DS is one of the most pleasant executive cars on the planet to drive and set a benchmark for luxury for decades. Recently, Citroën brought the name back as a premium sub-brand and the DS 5 was launched as an executive compact hatchback with a bold aviation-inspired cockpit that managed to set itself apart from its German competitors without going over the top. The Tesla 3 interior is a tough one. 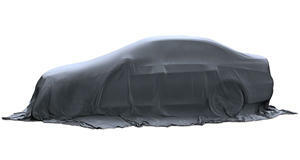 Build quality isn’t great and for a luxury car, neither are the materials used. 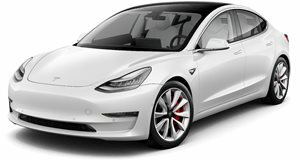 Design wise though, the Tesla 3 delivers a level of minimalism that’s finely balanced by the central tablet that controls everything in the car and the display that's configurable by the driver while on the move. There are flaws, such as relying on a centralized system to display and control everything and putting everything down and to the side of the driver's eyes. However, as a concept, this is what futurists have been aiming at for decades. It hasn’t been the game changer the evangelists predicted, but it is interesting and looks great. 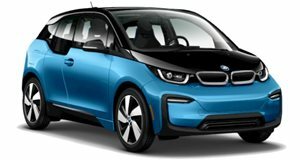 The i3 was a pleasant surprise given what usually happens when a car company decides that electric cars need to stand out and be futuristic. The tiered dashboard is both the focal point and the highlight and creates a feeling of space in a small car. The Century is Toyota’s JDM answer to the Rolls-Royce. The latest generation launched in 2018 remains a wonderful throwback to the 1980s all the way down to the use of chrome on the outside. On the inside, Toyota have shunned the idea of putting screens into the back of the squared-off front seat headrests and uses two-tone wood across the length of the dashboard. The seats in the Century come standard in wool cloth and the same material is used in other areas like the doors. It’s a unique approach to a car's interior that’s entrenched in the Japanese traditions of luxury and state cars. The Nissan Cube is an interior we go back and forth on, but currently feel the love for. What we really appreciate is that Nissan didn’t just slap some colors on some parts-bin items and stitch something together, but instead fully invested in being bold and interesting while embracing the overall concept of the car. We just wish someone at Nissan would finally tell us what the circle of shag carpeting on the dashboard was really about. This is a hard one to call as to whether it was a swing and a miss or a well-executed retro nod to the original racing GT from Ford. It does look like it’s trying too hard with all the switches, the straight row of gauges, the perforated leather seats, and the bare aluminum shifter knob and transmission tunnel. However, if you’re actually lucky enough to get inside one then it all makes sense with the change of perspective. 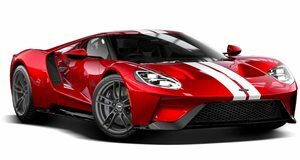 We do wish Ford had kept up the retro style for the next iteration of the GT but just toned it down a bit. 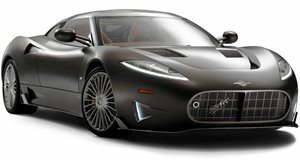 The Dutch company Spyker took the fighter-plane styling to a new level with propeller motifs throughout the interior, including the steering wheel for sales outside of North America, and then went for refinement and style by making sure every surface is leather or aluminum. The gauges and switches are all made from blocks of aluminum as well and, although it’s busy in there, the level of material and build quality is overwhelming. 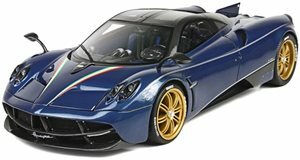 We’ve stared at the Huayra interior for hours trying to figure out exactly what’s going on, and we’ve come to the conclusion that it was designed in a cigar lounge by a steampunk enthusiast that was schooled in art-deco at college and was given a brief to go with a jet fighter plane style while making sure there’s plenty of bare aluminum and carbon-fiber on show. We’re huge fans of the car, but the Huayra’s interior definitely sits right on the level of supercool while edging over the line into the realm of being headache inducing to look at for too long. The vehicle that managed to steal the title of Ugliest Car Yet from the Pontiac Aztec doesn’t get enough attention paid to its interior. That’s probably because it’s a disconcerting horror show of crazy bad ideas tied together with random bumps and lumps. If you can bear to look, you’ll see the gauge cluster has been put to the right of the steering wheel so the driver has to look down at the right, which is all you really need to know to understand this is a true Charlie Foxtrot of an interior. We can only assume this is what happens when the higher-ups use words like "outside the box” and "Funky” to a disillusioned group of designers on a Friday afternoon. As for the colors, well, the pictures really do speak for themselves.